Aplus Finetek Sensor, Inc. is pleased to announce the introduction of the EPR Series Paddlewheel Flowmeter. Using proven magnetic paddlewheel technology and state-of-the-art electronics, the EPR continuously measures the flow of liquids in pipes with a velocity range of 0.98ft/s~32.8ft/s (0.3m/s~10.0m/s) in pipe sizes from ¾” through 2” (DN20 to DN50). The EPR will work in applications where fluid is clean, up to impurity level of 1% with particle size up to 0.5mm. The EPR key features include its cost effect and reliable technology, choice of output, built-in RS485 MODBUS serial link and choice of materials. How it works …. The EPR measures the flow velocity by using the fluid flow to drive a rotating blade. This then generates pulses related to fluid velocity and that can be converted to an analog 4-20mA output by optional electronics or that can be taken directly into a receiving device that can convert the pulses/min to a flowrate using the K factor for the meter. 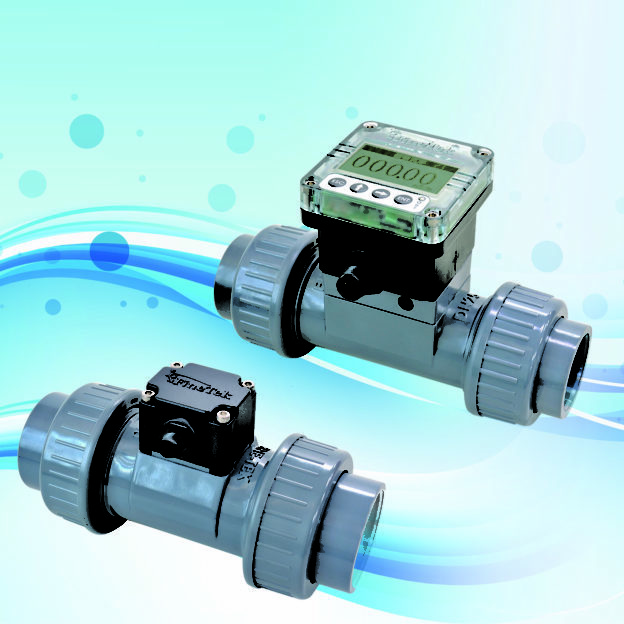 The latest materials and electronic technologies allows us to manufacture a very cost effective and moderately accurate flowmeter that is reliable in a wide range of applications. Other features and specifications include a 12-36VDC power supply, choice of a pulse output or flow transmitter with 4-20mA output, available digital display with built-in totalizer, and an RS485 MODBUS serial link. Accuracy is ±0.3%, with linearity of ±0.5% F.S. and repeatability of ±0.4%. The EPR can be used with operating temperature up to 212⁰F (100⁰C) and pressure up to 145psi (10bar). For more information about the EPR series paddlewheel flowmeter product line, please contact Aplus Finetek at 815-632-3132 or email us at info@aplusfine.com.